Ready for a leap year sale??? 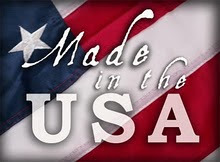 Use the coupon code leapyear15 at checkout to save 15% off your purchase of $35 or more on the Chomas Creations store! Yipppeee! 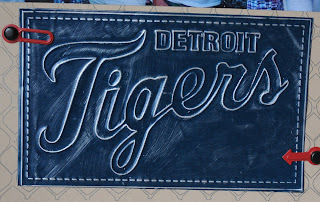 Maria from Believe Dream Create is back with another awesome project for you to check out! Stop on by Maria's blog and leave her a comment, she has some awesome projects she has been up to & she always has the best tutorials. 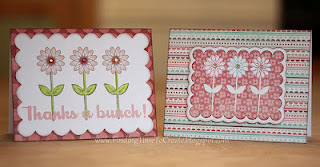 It's Maria with another project for you using the Chomas Creations Adjustable Holders for the Cricut. I thought I'd use one of my favorite pens in the whole world. 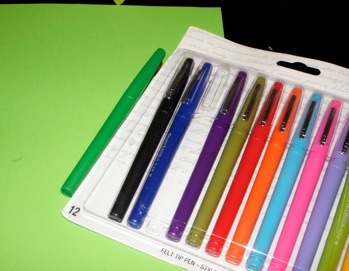 I have been using these pens since way back in High School. As a matter of fact, there was a time when I would ONLY write with them. 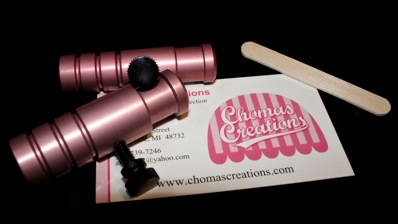 Now with the endless colors they come in and the Chomas Creations Adjustable Pen Holders--YAY!!!! 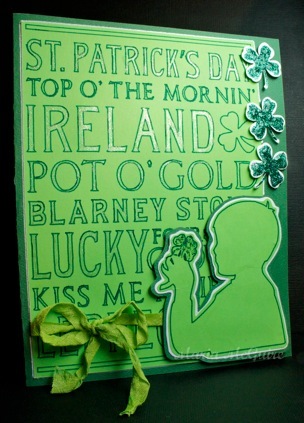 I used the Kelly Green color and the Word Collage Cartridge. This was so easy I'm embarrassed! 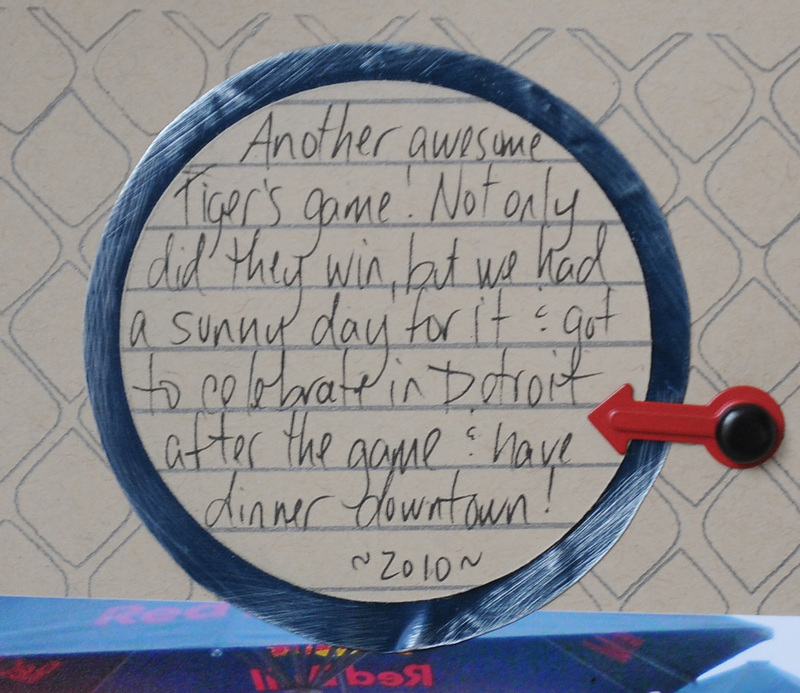 Just goes to show you how a little pen holder can make all the difference in the world! I colored some of the words in with a Gelly Roll Stardust pen. The silhouette is from A Child's Year. I hand cut the borders around it because I wanted it to have more of a handcrafted feel. The Shamrocks are a Martha Stewart punch with a little Stickles. I had so much fun with this! Thanks Amy! Maria you are so welcome! Thank you for what you do! 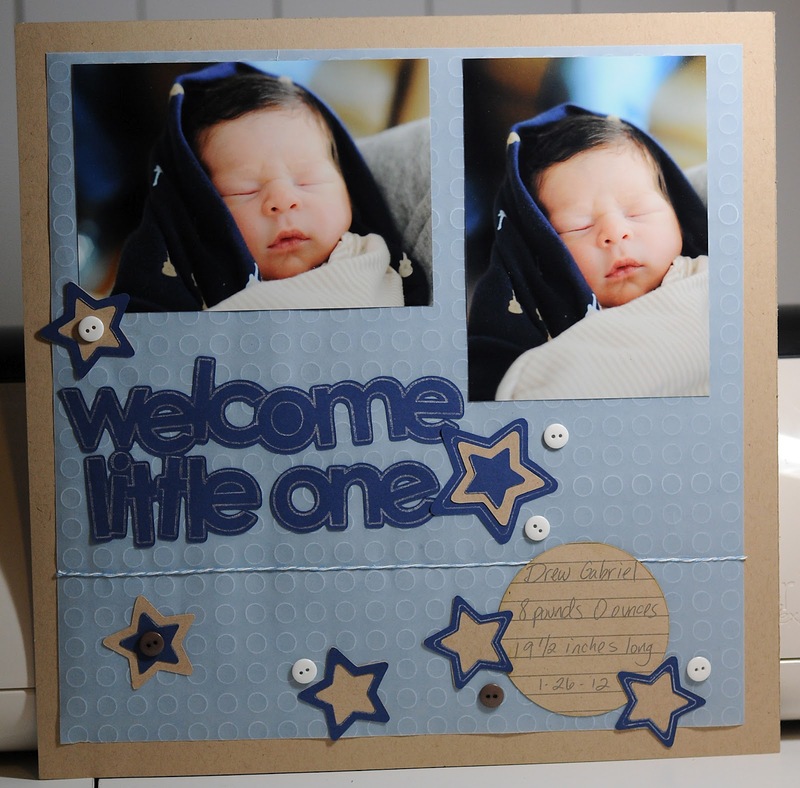 Oooh just wait till you see the card set that Kelly of Finding Time to Create has made with the Chomas Creations adjustable pen holder for the Silhouette Cameo! 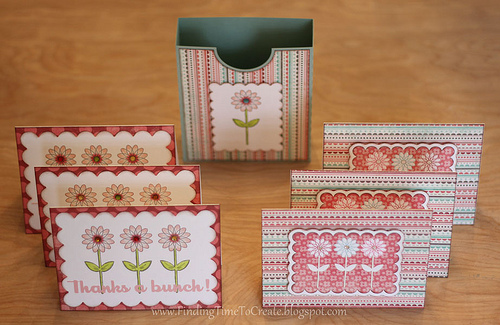 I just love how she always adds a little box to hold her cards!!! 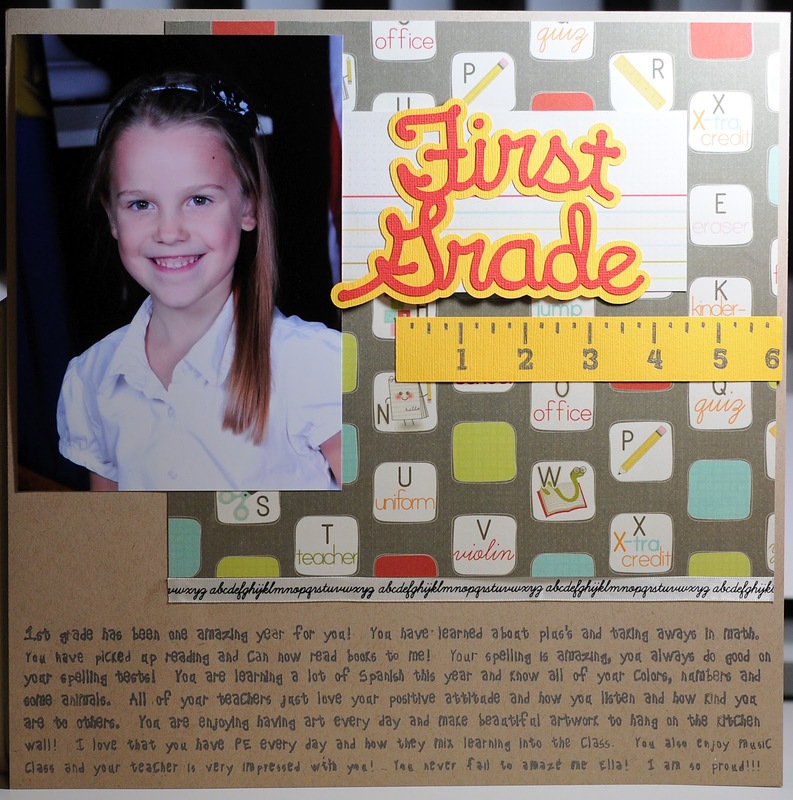 I know she has the share on her blog for the box that she made!! 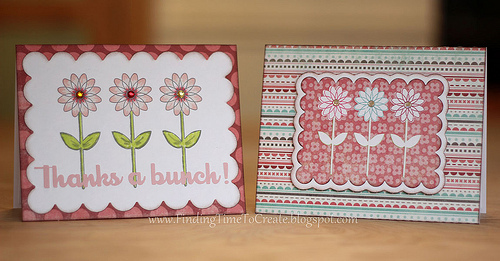 Stop on by and tell her how cute her cards turned out, and while you are there, check out the awesome tutorials she is always doing for the Silhouette Cameo! 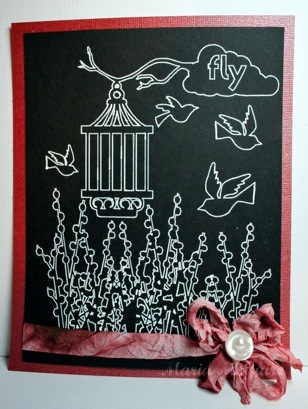 I love the look of the black metallic mini gel pen on kraft cardstock as it kinda reminds me of pencil! I also used the Chomas Creations adjustable pen holder and black metallic mini gel pen to draw the lines for the ruler. This was a download for Studio called ruler. I used the gel pen when I was done to color in the numbers and lines so they didn't look outlined. 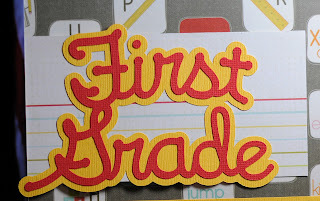 The title was also a download from Studio store called first grade. Here is the completed layout with my little first grader! The papers I used are Imaginesce, as well as the ribbon. Oh wow! Wait till you see what Maria of Believe Dream Create has in store for you today! 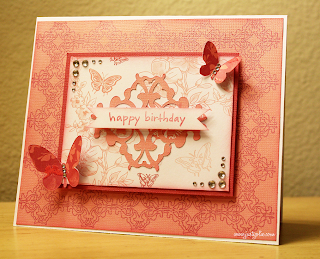 Look at this fantastic card she has done & you will just love her tutorials! You can stop by her blog and leave a comment for her! 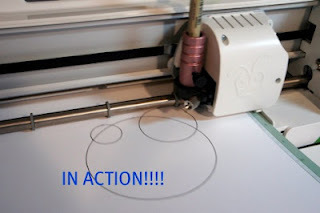 It's Maria again with the project I promised you using the Chomas Creations Adjustable Holder's for the Cricut. One of the things I love to do with my Cricut is to challenge myself to make a project based on only images on one cartridge by welding them together. I do this when I need to get some fresh energy going. 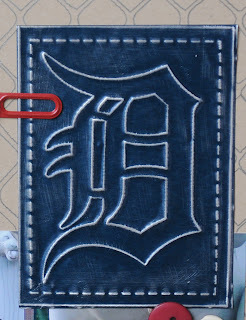 Usually I do this on my Gypsy, but this time I used Cricut Craft Room and let me tell you--WOW! The Chomas Adjustable Holders and Cricut Craft Room a winning combination!!!! I really don't need to tell you anything else except that you need these in your collection. This would be a perfect cover for a mini book or journal. As a matter of fact I think I'm going to make another one for a journal.....or a background in my Art Journal or.....you get the picture! Amy again! Thanks soooo much for sharing Maria! Love it! 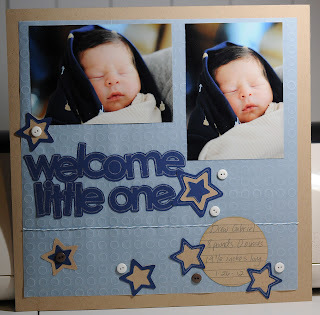 Maria will be back next week with another awesome project and amazing tutorial! I'm so excited for my friend Maria of Believe Dream Create with Maria to do a few things with the Chomas Creations adjustable pen and adjustable marker holders for the Cricut! She always has these awesome ideas, and she is just so creative! I'm so glad I got to meet her at CHA a couple of years ago, as she was one of my very first customers! So here is a review in Maria's words. 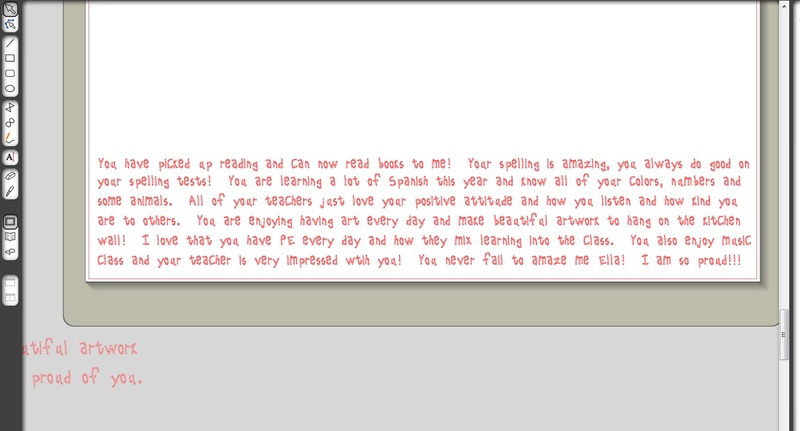 Stop on by her blog and leave her a comment if you would like. She will be back tomorrow with a project! Hi this is Maria. 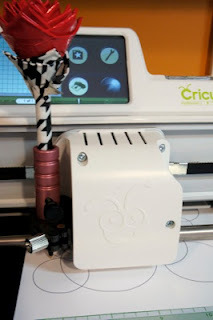 I was really excited when Amy asked me to make some projects with the new Chomas Creations Adjustable Pen Holder's for the Cricut. 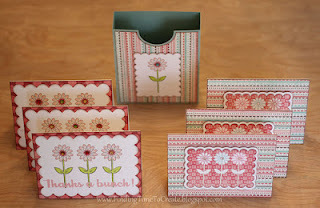 I have been playing with Chomas Creations products from the very beginning and have always been a BIG fan! But....let me tell you, the day I tried these new holders I had an excitement with my Cricut that I haven't had since when the Cricut debuted. Today I thought I'd do a review of what I tried and tomorrow I'll show you the first project I made. Here's a look at the two Adjustable Holders. They come with very good instructions for you to get started. I found the little popsicle stick absolutely necessary and a wonderful idea to get the pen positioned correctly. Don't throw it away. I used Cricut Craft Room with my E2. I think the most exciting thing about these holders is that the possibilities are endless in your choice of pens between the two holders. The E2 has no height limits like the Expression so your choices are ENDLESS! 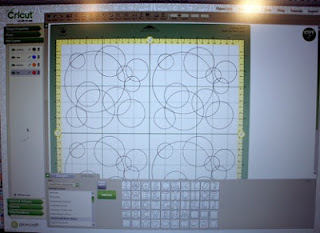 I used the free basic Cricut Craft Room cartridge and just made a grouping of circles in a 6" x 6" section. I copied and pasted this into each of the 4 quadrants on the mat so that I could get a true test. Here's a look at the first pen after I put it in the holder. The popsicle stick helps you get the point of the pen in the exact correct position for the machine. This is a look with the pen in full motion. I tried 4 different pens on the first page. 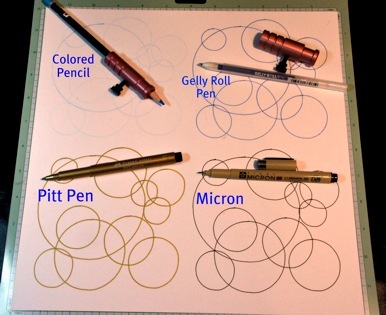 A colored pencil, Gelly Roll pen, Pitt Pen and a Micron. I had unbelievable results with all 4! I was so excited about this that I decided to try 2 more types of pens. My favorite white pen--Signo Uniball and a regular old Papermate pen that was on my desk (isn't it pretty? my daughter decorates them with Duct Tape). I have to tell you, I actually gave myself a headache after I did this. I had SO many ideas buzzing in my head at one time! I am a huge collector of pens and pencils from my "artsy" side. This could be the product that brings my two worlds together! 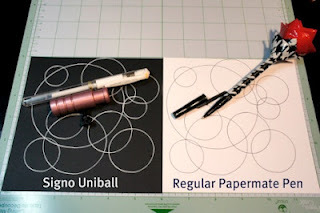 I fell in love with the Signo Uniball and the black paper.....I think you might want to go order yourself a set now because when you see what I made (which I'll be showing you tomorrow) you will want them in your hands ASAP to play! See you then! Amy here again! Thanks soooo much Maria! Can't wait to see what you have in store for us tomorrow! 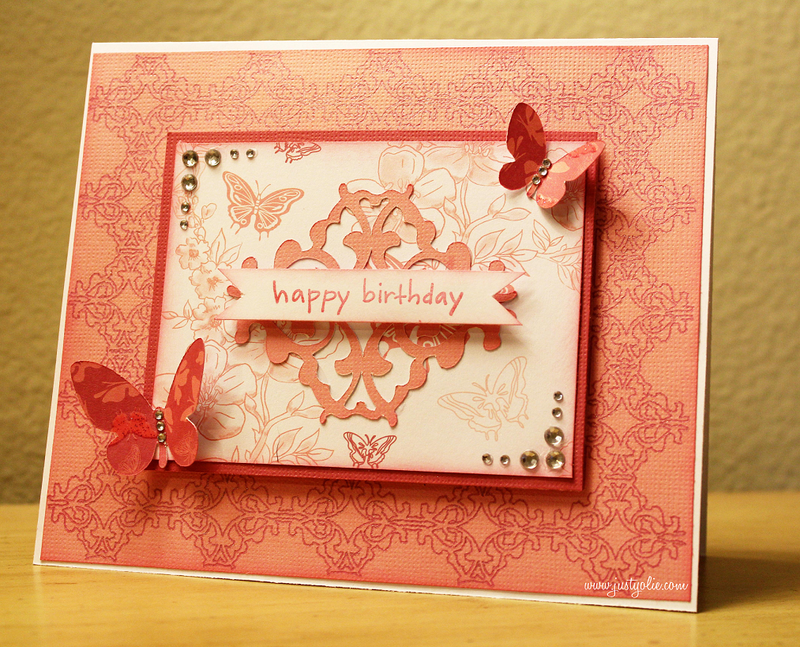 I also have a video you can watch on scoring with the Chomas Creations embossing/scoring tip. 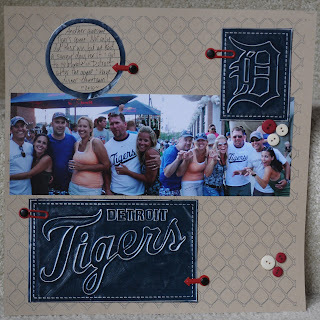 Now to recap, this is using just the Cricut mat and a piece of cardstock, and the Chomas Creations embossing/scoring tip to score the card. 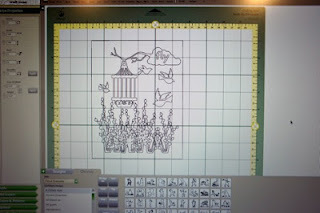 I added a big rectangle in Design Studio on the emboss layer, with some of the edges off of the paper (you don't need this part of the rectangle) to emboss with the Chomas Creations embossing/scoring tip. Without removing the mat from the machine, remove the Chomas Creations embossing/scoring tip and add the blade. Swith over to the blade. 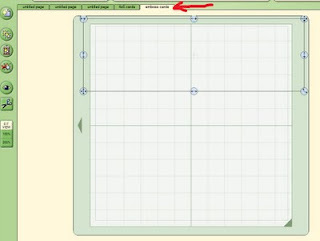 Click the cut layer tab in Design Studio and cut out the card rectangles. Now you can remove the mat from the machine, and take your cards off your mat, fold them in half and use a bone folder to smooth the edge. SUPER EASY! I did all 6 of these cards in less them 10 minutes! 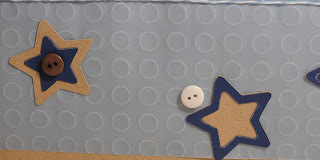 I used the Chomas Creations embossing/scoring kit to emboss the little circles on the vellum as my background. I did use a multi-cut of 2 to get them to really stand out. I used the Chomas Creations mini gel pen holder with a glitter silver mini gel pen to draw the title, then without removing my mat from the Cricut machine, I took out the mini gel pen holder, replaced the blade, and cut the shadow around the shapes. I added my super cute pictures of Drew, some ribbon and buttons to the page to finish it. And did I mention that you can get the Chomas Creations mini gel pen holder and embossing kit at lower prices in the Chomas Creations store? I used SCAL (Sure Cuts A Lot) for this layout. You can download images from the internet and then trace them in SCAL. 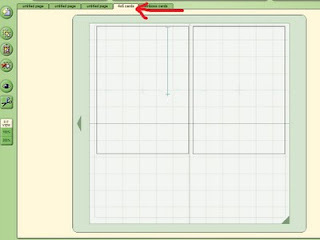 As you can see from the image, I added a dashed border around the outside, a feature I just love in SCAL. 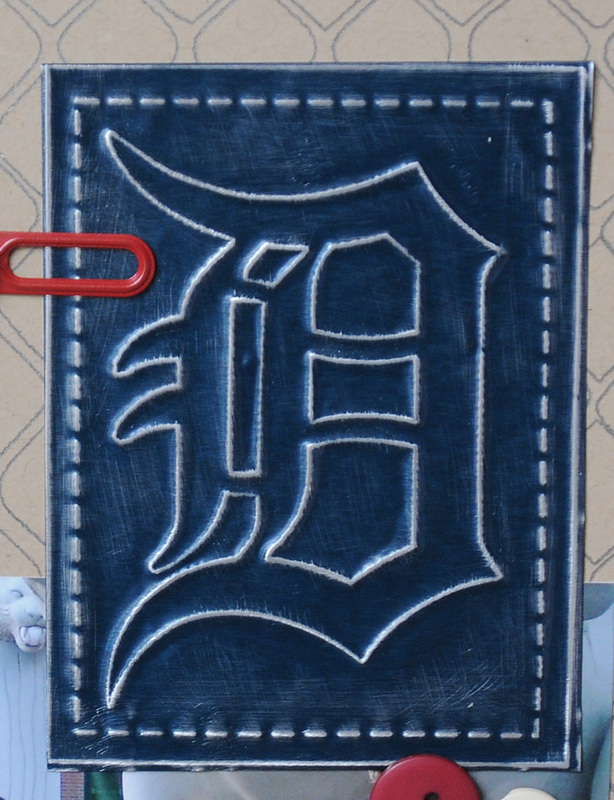 I then used the Chomas Creations embossing kit and the Ten Seconds Studios metal sheets (colored side down) to emboss the images. 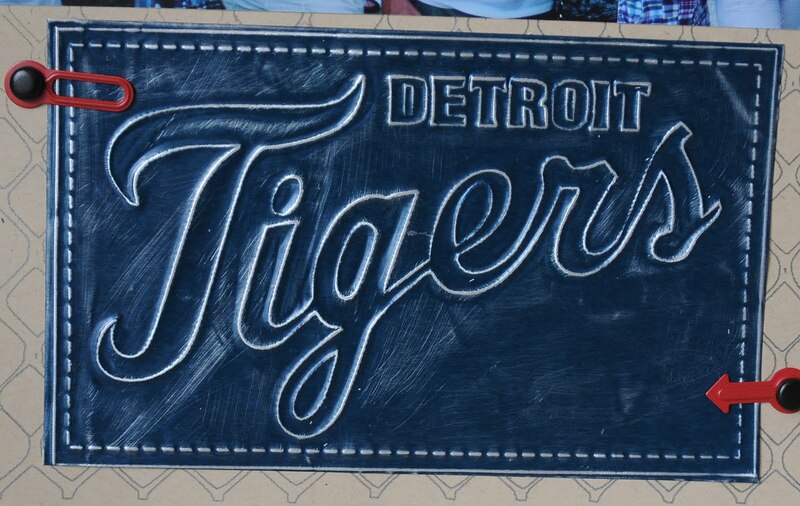 After they were done, I sanded the raised side to make the images pop, reminds me of the old fashioned signs! The Chomas Creations store now has lower prices!! Stop by the Chomas Creations store to see the lower prices!! We are getting our holders for less, so we are passing the savings on to you! I also picked a winner for the Love my Cameo blog hop! Lois, you didn't leave me any contact information, so I'm posting this here and hoping you see it! If I don't hear from you by 2-21 I will have to pick a different winner. I want to start using pens to journal for my scrapbook pages. 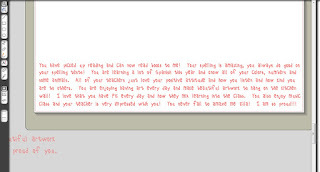 Haven't tried that yet but it seems I could make unique tags and have the writing lined up nicely. I've also added a spot on the right of my blog to subscribe by email to receive an update each time I post on here. So if you love the ideas I come up with and want to be alerted, sign on up! So pretty, thanks so much for sharing! 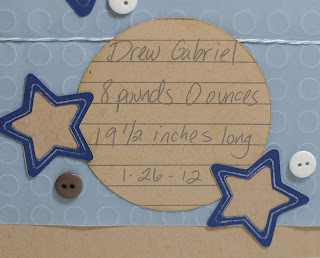 Here is another fun idea that gets rid of a lot of broken or unwanted crayons! All of my 4 kiddies helped with this one! 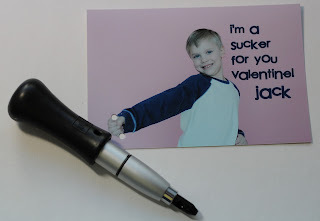 I picked up a heart shaped silicone mold with 24 heart shaped holes for putting in crayons! We took the wrappers off the crayons and broke them into small pieces. I actually ended up with a paring knife and cutting board as it went faster and I could do smaller pieces. We filled each heart shape in the silicone mold to the top with pretty colors. I preheated the oven to 275 then added the silicone containers with crayons in it to melt. After around 18 minutes, the crayons were all melted, we didn't stir them as I wanted the colors to keep seperate. 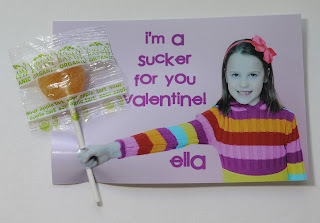 After they cooled, we popped them out of the silicone mold, and this is what we have to give to all the kids' friends at school for Valentine's Day! How fun will these be to color with? 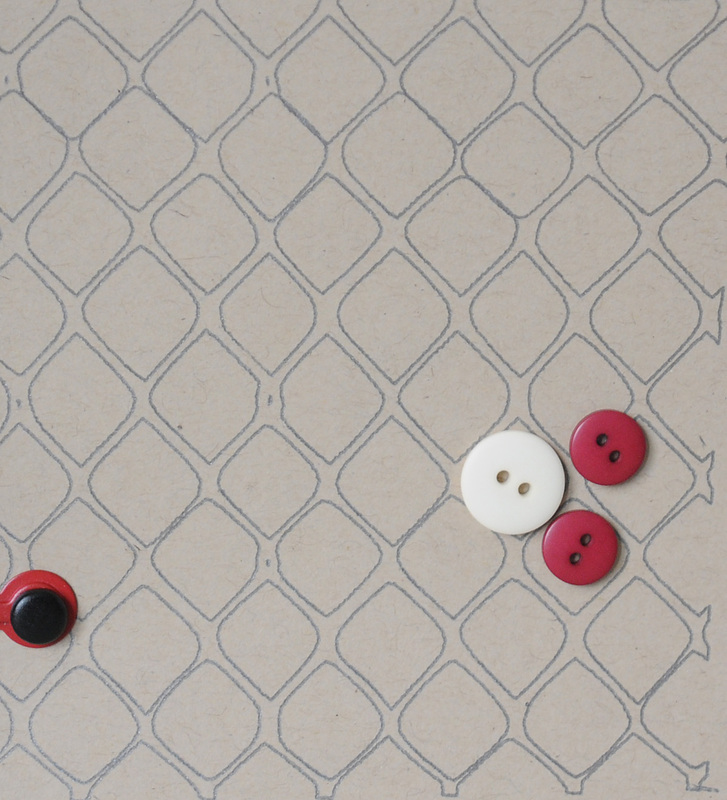 If you are looking for the Love my Cameo blog hop, click here. 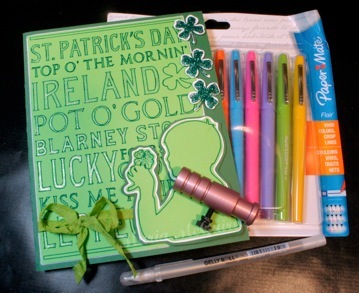 There is still a chance to win either a Chomas Creations adjustble pen or marker holder! A friend of mine had done Valentine's Day cards like these below, and I just had to give them a try! I do have a large pink backdrop that came in very handy! I simply took photos of the kids with their hands out, then used my hole punch to punch holes in them to hold a sucker. And here they are after I added the suckers! Sorry kids in my kids classes, you are getting organic suckers this year, made with NO dyes and real sugar! My son can't have red dye, so we are going this route! 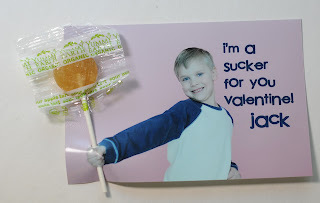 Of course my kids LOVE these suckers hehe!